Resolution #1 – Use We have SO much. Our pantry is full of half-eaten food, the desk full of gift cards, the bathroom closet full of lotion and product. This year, I resolve to use all of that stuff, before buying new (as much as possible). This went well at the beginning of the year, and I think we have used up a lot of things. We lost momentum mid-year, when we had a lot going on and it was just easier time-wise to not have to think as hard about things. So a mixed success I suppose. This went great. I've sold well over 100 things, and found a good way to make the BST boards a good part of my life without succumbing to their easy lure. 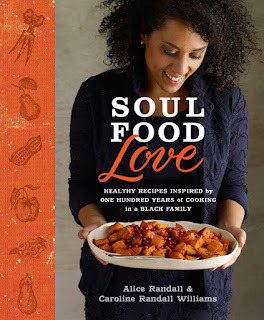 I chose this as my first Blogging for Books adventure because I could share the experience with my husband, who was born just outside of New Orleans and for whom soul food runs deep in his family. He's a writer, currently working on a history of his family and the land they acquired during Reconstruction, and I knew the family history at the beginning of the novel would be especially interesting for both of us. Tonight, the day after the Sandy Hook anniversary and when LA schools were closed due to a "credible threat," I'm especially glad for my daughter. I'm glad for her everyday. Today I'm super proud of her because she did well on her piano recital, and aced her math test, and did well in violin this morning, and finally seems to be getting her math facts, and was a trooper about adjusting her expander. Because she is SO excited for Christmas, and to write in her diary every night, and to be close to moving up a reading level. But I love her on the days she is cranky, and unhappy, and difficult. Those are the days when she needs love even more, and it's all the more rewarding to be able to show her I love her. I love this world more because I love her. And I ache to make it better. Tonight I am glad for reading in bed, and for books in general. I just got some great books for people for Christmas, and there's a lot I want to read myself. If Beatrix would put up with it, I would spend all of Christmas vacation holed up inside reading. I can't think of anything better. I've taken to calling them "the Decembers." It's that gray, overwhelmed-with-it-all feeling I sink into at least once a day this time of year, when I want to be wrapped in Christmastide and making a great holiday season for my little girl, and instead it's I'm surrounded by an almost tactile sense of those weeks spent in the hospital the Christmas my mom was dying. I can almost see the cold fluorescent lights, can almost smell the hand sanitizer, and every part of my body aches in that tired way. At the same time, my eyes fill with hot tears about the things I can't share with my mom, all the things she has missed. It's an awful feeling. I hate December. Today I am grateful for good food. And my favorite meal ever, goat cheese mac and cheese, that Patrick made for dinner because he knows it's been tough for me lately. Tonight, as I sewed a scarf using skills I learned in a costume shop long long ago, while listening to Hamilton, and even as I thought of the news of the day — tonight I am glad for my life in the theatre. I'm glad for the skills I have learned. I'm glad for the knowledge I have gained. And most of all I am glad for the people I know, for strong and amazing friendships from people who get it. I hundred million years ago, when I started working with Gary Parker at TCity, I could never have known that this would be my life. Thank you to all of you who inspire me daily with the things you create.